Frontline trenches. 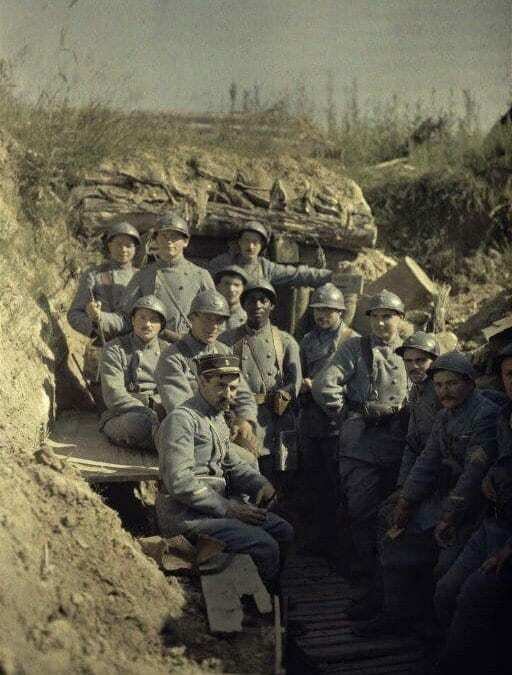 Group of French servicemen, “Poilus”, in front of the entrance of a cote. Woods of Hirtzbach. (Haut-Rhin. France. June 16th, 1917). “Poilus” (hairy) is the nickname to French WWI soldiers, since they could not afford the luxury of regular shaving. It is a term of affection, especially now. Tranchée de 1ère ligne. Groupe de militaires Français “Poilus”, devant l’entrée d’un abri. Bois d’Hirtzbach. (Haut-Rhin. France. 16 juin 1917).